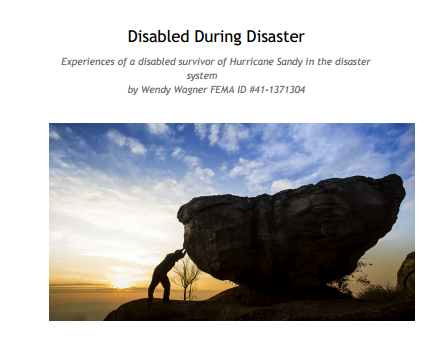 From the “Disabled During Disaster” blog – the story of my Mom’s NY Rising acquisition closing. Your journey through the mess known as NYRising has been horrific. I don’t understand why there is not more empathy from the people you are forced to deal with knowing your circumstances and the circumstances of so many others dealing with the aftermath of Sandy and the bureaucratic maze to nowhere that is causing so many to be stressed to the point of illness and even death!